The Porsche Effect hits you the moment you walk through the glass doors of the Petersen Automotive Museum and see the first extraordinary group of sports car and motorsports greats. Just to the left are two of Porsche’s early racing heroes, a classic 1964 904 Carrera GTS, Porsche’s first fiberglass racer, and a 1967 910, which won its class in the 24 Hour of Le Mans. Further ahead we spy another fabulous race car, a 1997 911 GT1 in gleaming shades of orange and white, alongside its civilian version, the GT1 Strassenversion, or “street version” in English, a rare and stunning unicorn. Over to the right is a genuine piece of racing history, the 1973 Porsche 917/30 Can-Am Spyder, known as Donohue’s Unfair Advantage for the ease in which driver Mark Donohue captured the championship that year. With 1,500 horsepower on tap from its turbocharged flat-12, the 917 also set a closed-course speed record of 221.120 mph achieved on the high banks of Talledega Superspeedway. Already we are bedazzled, and we’ve just walked in the door. 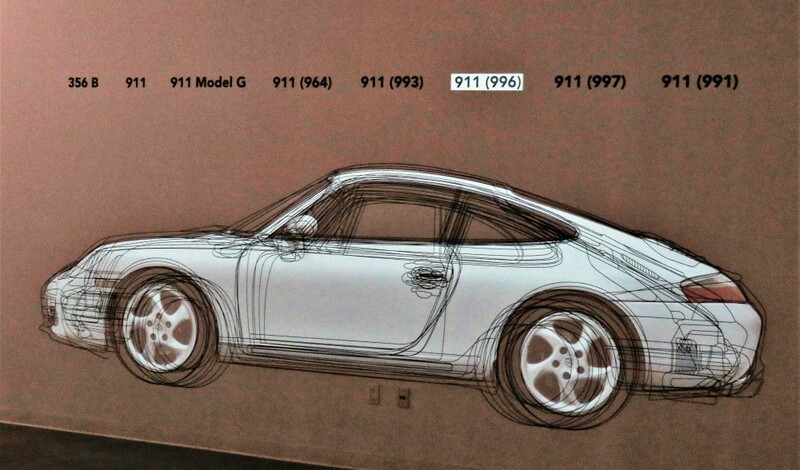 If we came in through the street entrance on the opposite end of the lobby, we would have been confronted by one of the earliest parts of the Porsche story, the 1951 Sauter Porsche 356 roadster, and by one of the latest, a 2015 Porsche 918 Spyder, a gas-electric hybrid of stunning capabilities. 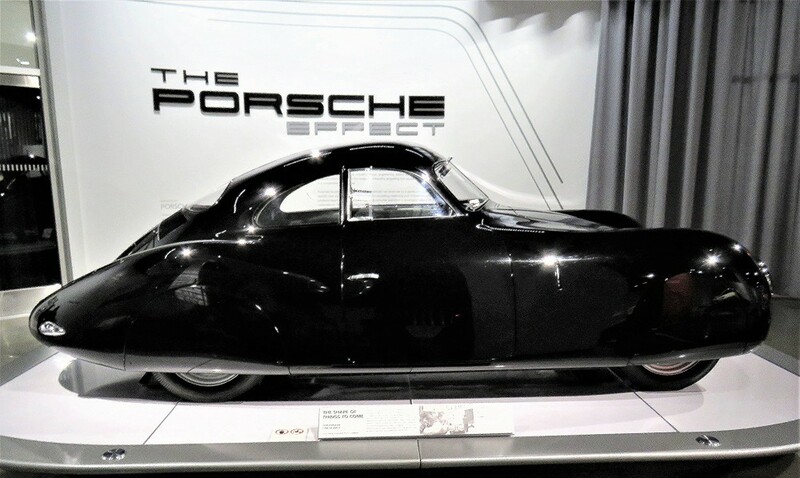 The Porsche exhibit that has taken over the ground floor of the Petersen Museum in Los Angeles is called “The Porsche Effect” for a reason. More than just tracing the history of Porsche, the yearlong show seeks to identify and illustrate how the company’s artistry, design and engineering have had a lasting effect on our culture. 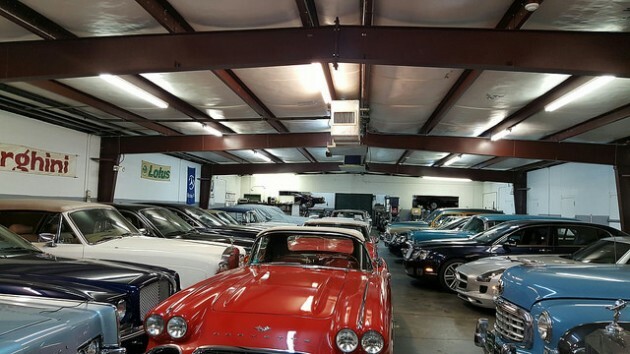 To present that, the Petersen teamed up with Porsche Cars North America to gather and present 50 signature models, each representing a landmark in the automaker’s 70-year history; the anniversary of the first Porsche sports cars is being celebrated during 2018. The sweeping exhibition, which opened to the public on Saturday, not only presents the key models in the sweep of Porsche’s sports car and motorsports saga, but contextualizes them with stories, video, models, posters, personalities, even clips from vintage films that included Porsches as important elements. “This is a celebration of a very special story,” said Brittanie Kinch, a leading curator of the exhibit, in opening remarks during the media preview on Thursday. The main portion of the display is found in the primary first-floor gallery, which has been transformed into a showcase of Porsche history and design. 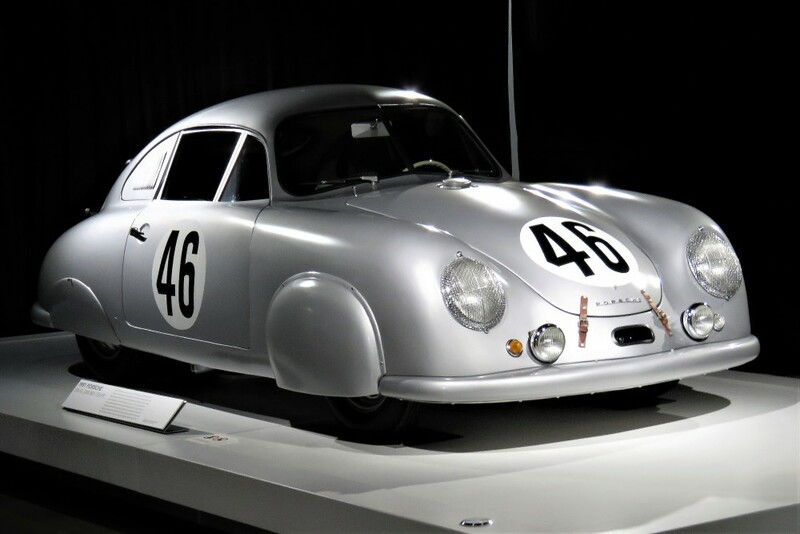 First off is the wonderful 1939 Type 64 that was created to race from Rome to Berlin, and whose strangely aerodynamic styling presages the less-extreme shape of the 356, built from 1948 through 1965, when the original 911 models took over production. The much-beloved, rear-engine 356 – coupe, convertible and the iconic Speedster – is presented, starting with a luscious 1949 356 Gmund coupe, then through the winding Porsche tour with the very first 911 – dubbed the 901 before Peugeot forced Porsche to abandon the number sequence – that showed how Ferdinand Porsche modernized the street cars with a flat-six revolution. Around the corner is a quite-awesome lineup of Porsche’s racing triumphs – the mid-engine 1955 550 Spyder; the all-conquering 917 in Gulf livery; the “ground effects” 1983 956, which won Le Mans four times and is considered one of the most successful cars in racing history; the 1985 959 Paris-Dakar, an all-wheel-drive racer built to compete in the Sahara Desert and which still wears vestiges of sandy dirt; the 2008 RS Spyder, which won the 12 Hours of Sebring; and a recently retired 2015 919 hybrid built for modern endurance competition. 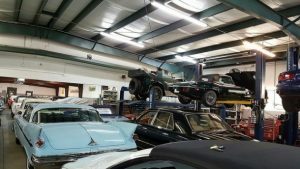 Above this grouping is a fascinating video display that runs the length of the room, focusing on the specs and successes of each car and drawing on dramatic period video showing the competition cars in action. 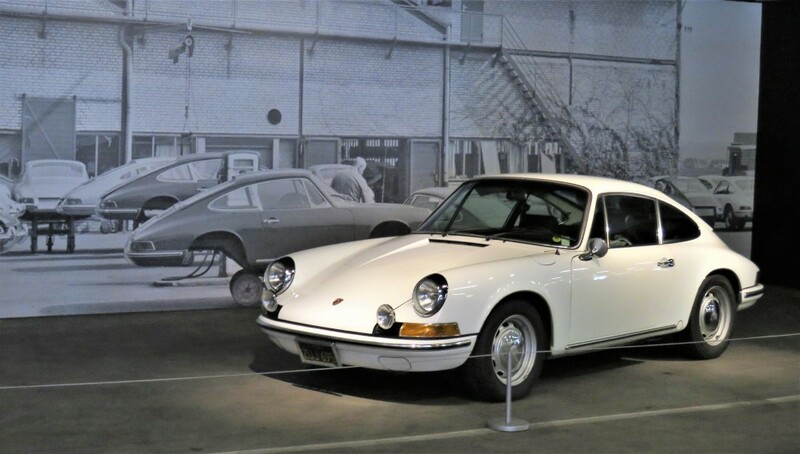 This exhibit space is so filled with historic splendor that it’s hard to believe there is still another aspect to The Porsche Effect: the vault tour. 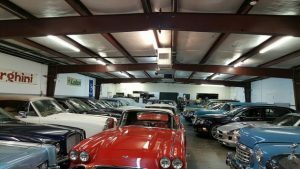 The Petersen is famous for inviting guest to prowl through the basement level of the museum to discover what vintage vehicles are in storage, some dating back to the earliest days of motoring. During the Porsche exhibit, nearly two dozen very-special models are gathered in the behind-the-scenes space. Some of the standouts are the Jägermeister 962C race car, the 1988 March 88C Porsche IndyCar, 1987 McLaren TAG Porsche F2 car, the custom 1964 356 “Emory Special,” a 1974 934 from famed L.A. Porsche dealer Vasek Polak, and a unique Porsche 928-powered street rod. 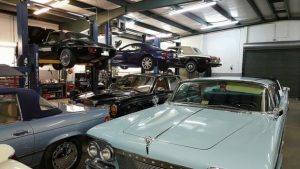 One striking thing about The Porsche Effect is Southern California’s role in the success of the German automaker, making the Petersen a noteworthy location for the exhibit. Indeed, the embrace of Porsche by Hollywood stars and other celebrities had much to do with the success of the strange little sports cars with their engines out back. The Porsche Effect will remain at the Petersen, 6060 Wilshire Boulevard in L.A., for nearly a year, through January 27, 2019. 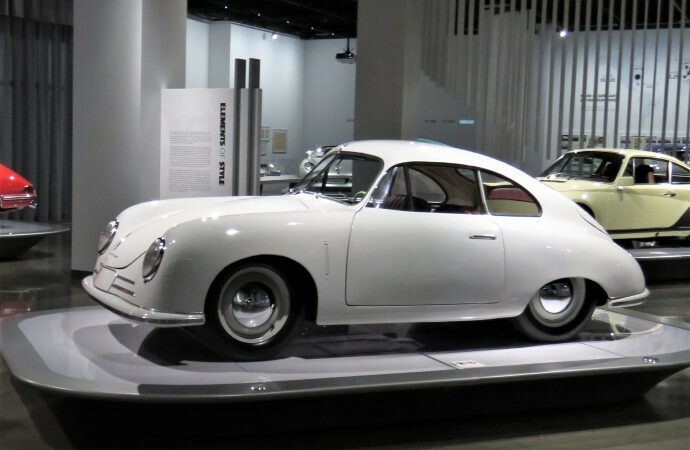 It’s a terrific show, especially for Porsche fans, but anyone with an interest in design, engineering and 70 years of cultural history should find much here that fascinates. 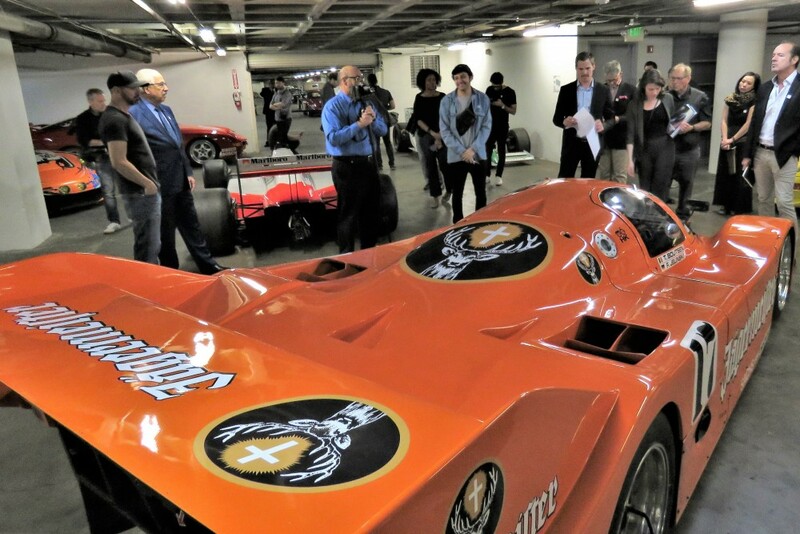 For information about the exhibit, vault tours and other exhibits at the Petersen, visit the museum website. There’s also a Porsche display on the East Coast.